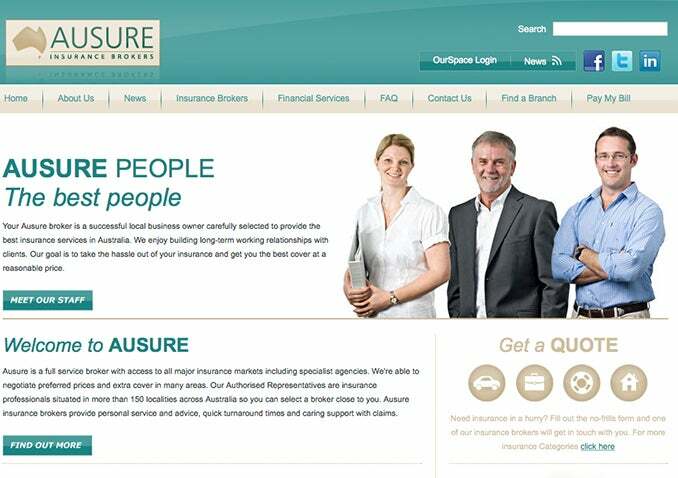 Ausure Insurance Brokers, one Australia's fastest growing insurance brokerage firms, engaged us to create a fresh, new corporate website that would enable them to showcase their offering and provide secure information to brokers. To support their growing business, Ausure contracted Interesting to help with the design and development of their new site. They wanted a fresh, new design, a secure section for brokers, advanced search functionality, and an insurance enquiry contact form. We worked closely with Ausure, as well as with design agency, Mentally Friendly, to design a new information architecture and user interface. The new design focuses on usability and intuitiveness, and on helping potential customers to find the information they need to make an informed decision. The site was developed using a customised Kentico CMS, providing a scalable and future-oriented solution that will grow with Ausure.